An annual report by real estate firm MNS states that at the end of the summer, the average rent for a Bushwick studio apartment increased by 9.06 percent, from $1,925 to $2,099. How's your rent stabilization research coming along, Bushwick? 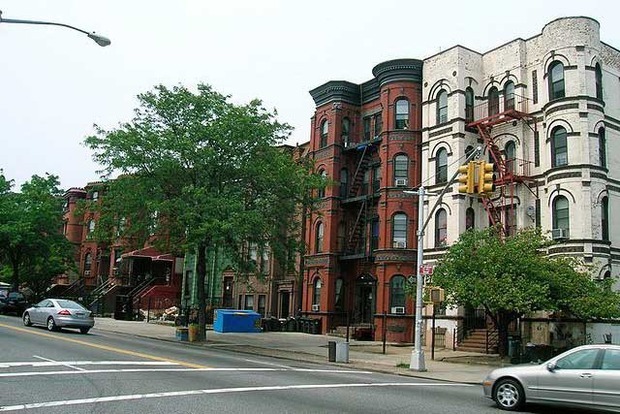 A recent report released by New York City real estate firm MNS indicates that between July and August of this year, the average rent for a Bushwick studio apartment jumped by 9.1 percent, from $1,925 to $2,099. The studio price tag increase is dramatic compared to the rise in Bushwick one and two bedroom rents, which went up by 1.8 percent and 1.6 percent, respectively, between July and August. The studio apartment rate jump makes the overall average rent increase for the neighborhood 3.9 percent, a figure that is significantly higher than the borough-wide increase average of 0.04 percent. The studio rent average is also hundreds of dollars higher than it was a year ago, when Bushwick's average studio rent was $1,753. The current average studio rent borough-wide is listed as $2,246. Discussion at the beginning of the report notes that "In August , only 55% of studio units [overall] were over [$2,100 a month]", the price bracket which starts just above Bushwick's average. The Bushwick studio rent spike is the second largest increase included in the report, following an 11 percent increase in the price of one-bedroom apartments in Cobble Hill (which the report acknowledges is the result of the addition of a single high priced unit to the data set). The report, which is one of three that the firm releases running down the numbers for Brooklyn, Manhattan and Queens, respectively, omits "ultra-luxury" units, which the firm defines as any units over $10,000. Data set sizes for the report are not given, though MNS states that the data sets for the Bushwick categories each include at least 20 units. MNS also notes that "As activity picks up during the late summer and fall months, price and inventory fluctuations are to be expected." The report does not include any discussion of the effect that the L train or M train shutdowns have had on rent in North Brooklyn, though the greatest decrease listed in the report is a 14.6% drop in prices for Greenpoint studio apartments. "Bushwick's appeal to renters, particularity among the younger demographics, is increasing, and we are seeing just that in the increases in prices. Studio inventory is limited in the area, so we are seeing greater price hikes, but if you look at the annual changes in all unit types, the neighborhood is growing as a whole and will continue as we see much more new development being planned out. Also, as retail continues to grow and the office tenants continue to grow the area will flourish," explained Andrew Barrocas, CEO of MNS. Hang on tight to your apartment, Bushwick residents—and maybe see if you can talk your landlord into a multi-year lease next time around!